Jessica and Robert had an amazing wedding! 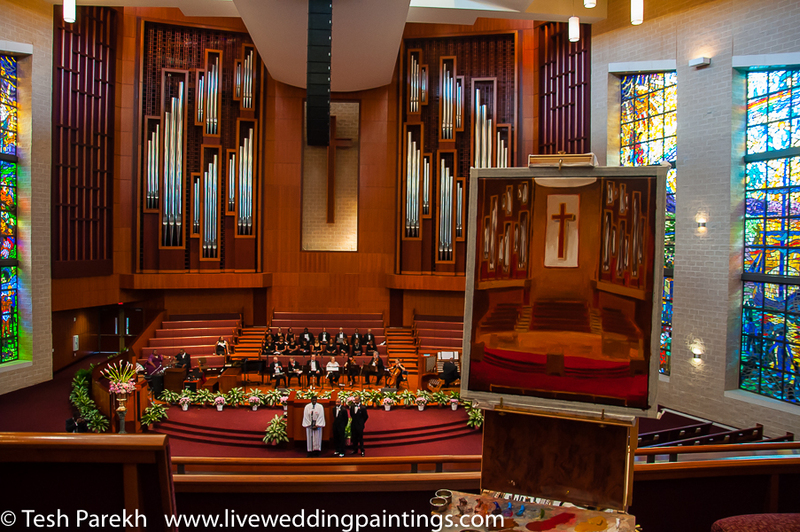 This wedding was the largest bridal party that I have painted to date. 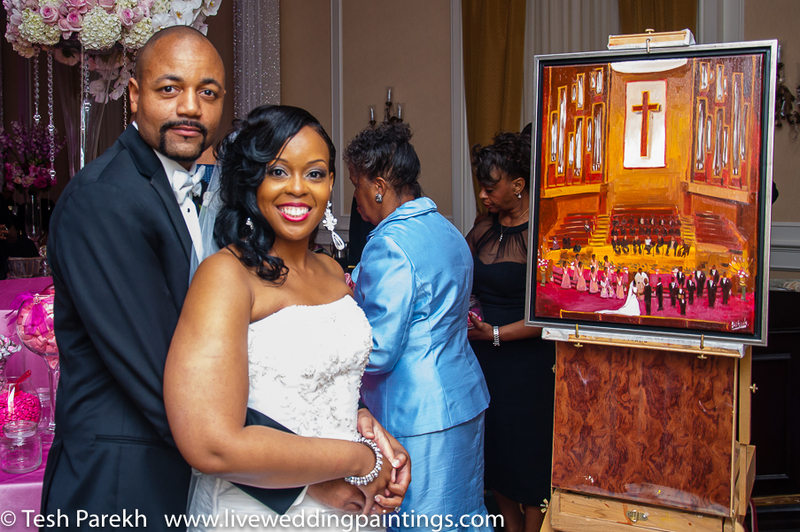 It was grandiose and everyone looked beautiful and it was my honor to create this painting for them. The church was one of the biggest I have ever seen and the reception was so well detailed in elegance and was really a grand party that people will be talking about for a very long time. The Bride and Groom were so humble and just so appreciated all that was done for them in their honor and was moved by how their dream wedding came to life right in front of their eyes!!! 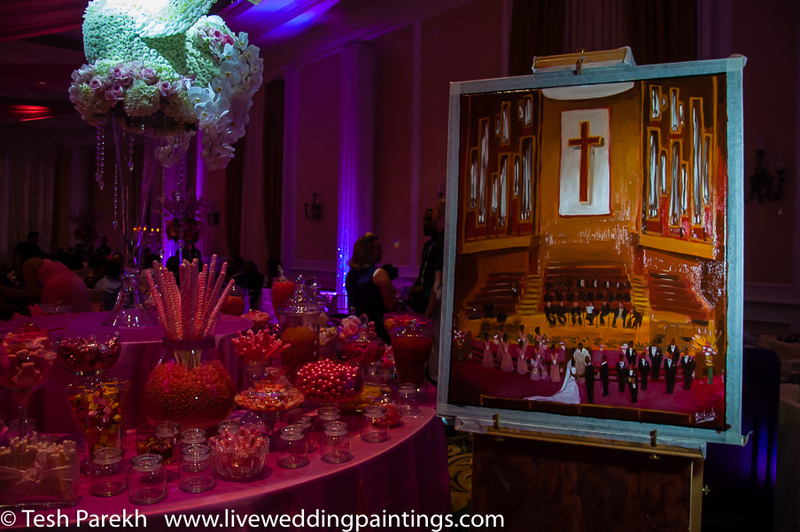 Rhonda Caldwell with The Main Event, Inc. did an amazing job with the decor! You can tell in the photograph with them with the painting how much in love there were and it was captured in the power of the painting that I created. 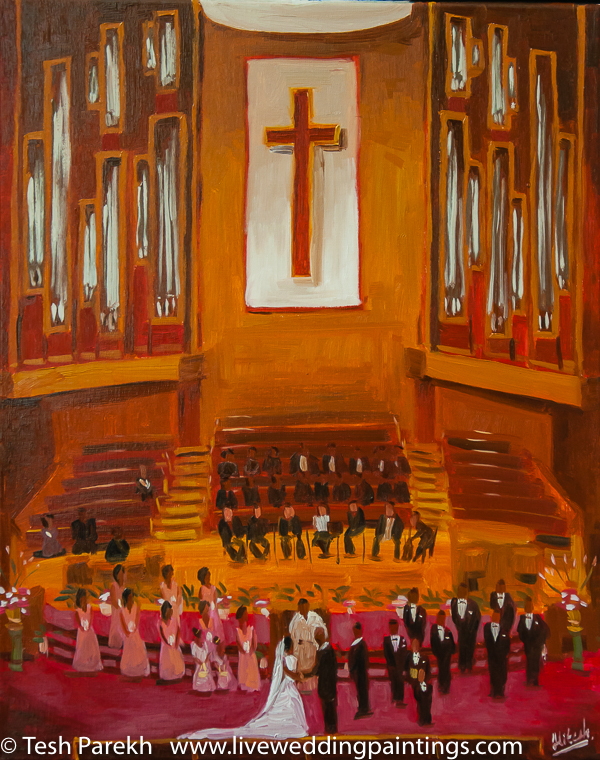 This is an oil painting, size 16X20 and was painted in Charlotte, NC. I love painting LIVE at weddings and events and creating these unique elements that will last a lifetime for the couples that I paint for. My unique gift to finish the portrait before the end of the event really adds a special element to the event that nothing else can. I can travel all over the world to freeze your wonderful moment in time and I am just a phone call away! 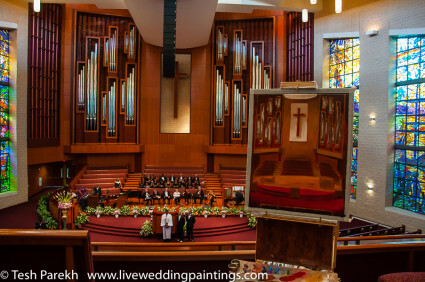 Test would love to paint LIVE at your event ~ please call or email today!